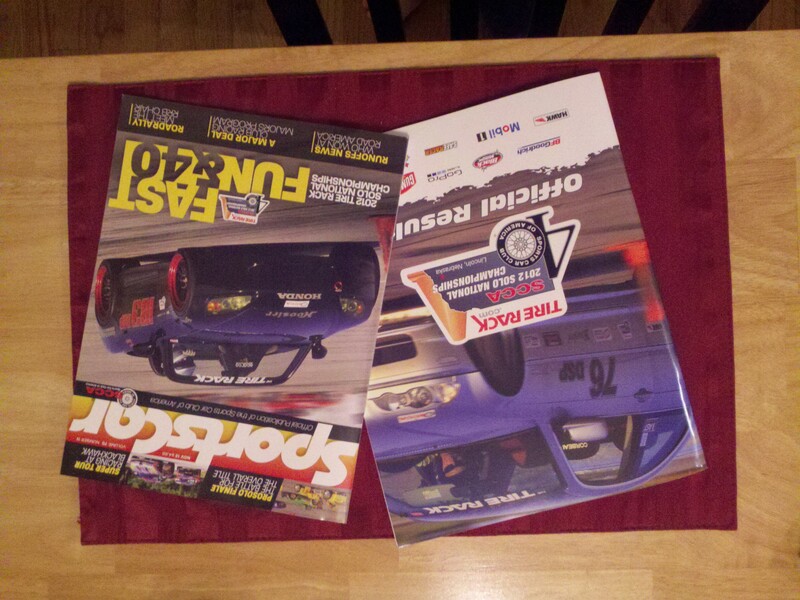 Opening up your mail box to find the duo of the Official SCCA Results and the November issue of Sports Car is always a mixed bag, depending on how you did this is either a very good thing or a frustrating one! 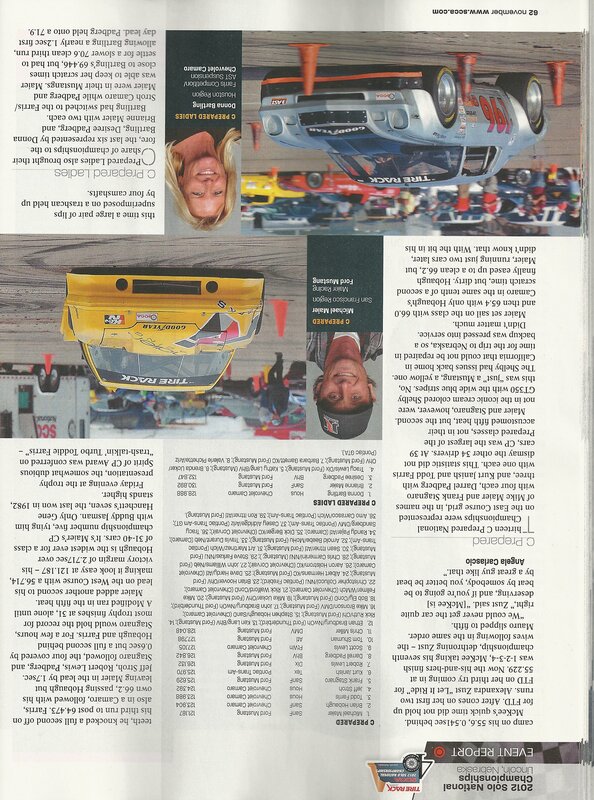 With a 3-4 finish, you can generally expect a mention, but certainly not glowing press from the Sports Car writers! 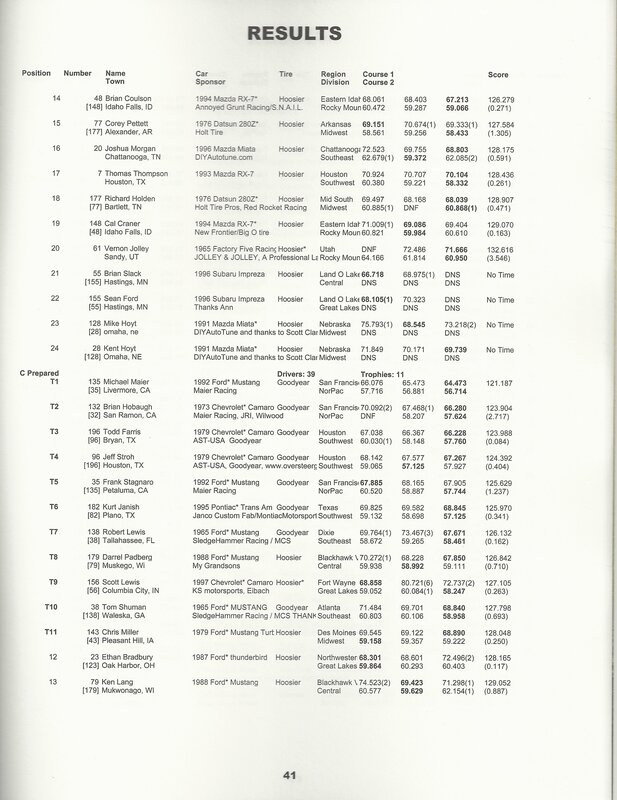 As usual they didn’t provide a whole lot of commentary on Day 2 which saw much closer racing than written (look at the results – Janish and I tied for 2nd fastest on the day, ~0.5s back of Maier). Nonetheless, congratulations are due again to Mike Maier for the win! 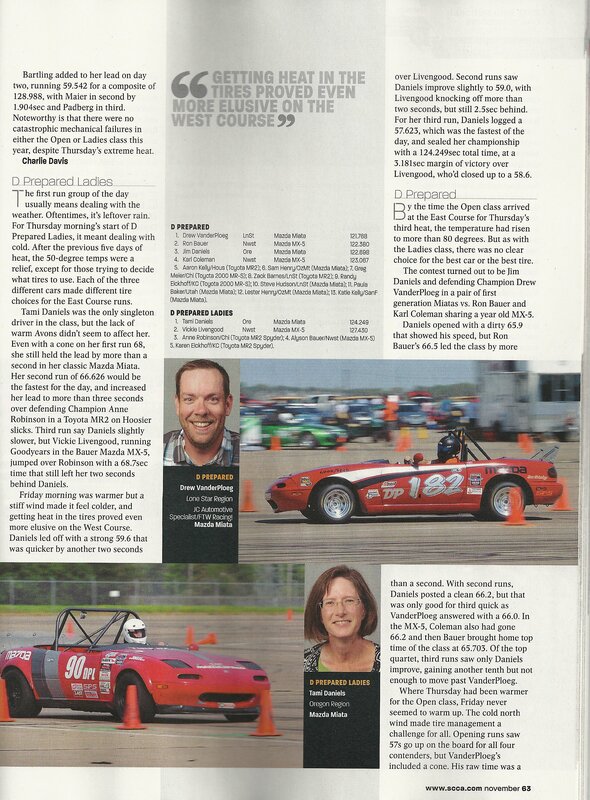 Donna’s win got a good writeup and a great picture of our car! Congratulations again to Donna for her win in CP-Ladies! 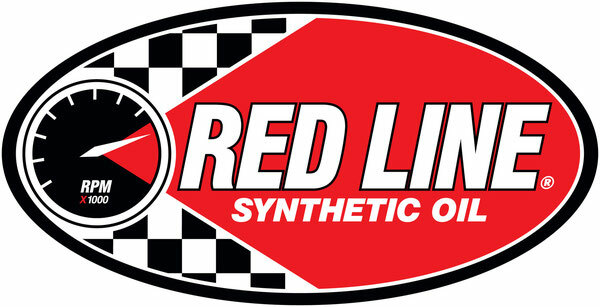 Check out the first of the results pages for a little more perspective on the results!